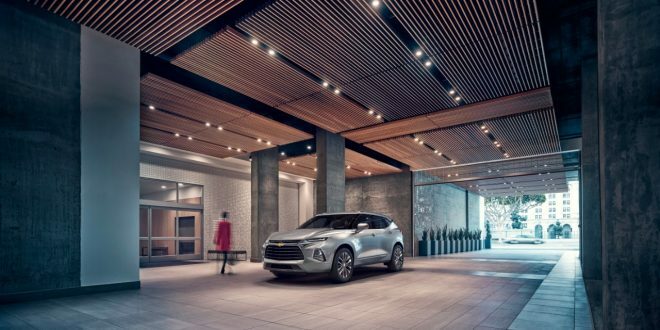 Chevrolet announced pricing for the 2019 Blazer last month, including an attractive entry price just under $30,000. While the announcement made it sound like the new Blazer is going undercut competitors in price, further information concludes that’s actually not the case. Cars Direct has uncovered more details regarding the Blazer’s price tag, including the fact it will creep up to $49,000. The attractive sub $30,000 price point is reserved only for the Blazer L, which will be an entry-level model that most consumers are not likely to buy. The more mainstream entry-level model will be the Blazer 1LT, which will start at $33,495; more expensive than a comparable Ford Edge and Nissan Murano. Mind you, the Murano comes standard with a V-6 engine and the Edge SE offers a turbo four-cylinder. The Blazer 1LT has a 2.5-liter four-cylinder. Buyers can step up to Blazer 2LT, which will unlock access to its 3.6-liter V-6 engine and bring the price point to $34,495. Buyers can add all-wheel-drive to the 2LT for an additional $2,700; considerably more expensive than all-wheel-drive on the Murano and Edge. Those wanting the Blazer RS will have to fork over $41,795 and $44,695 with all-wheel-drive. In case you’re wondering, that’s more expensive than the all-new Ford Edge ST, which actually offers a unique powertrain for its $43,350 price tag. Blazer Premier starts at $43,895, making it more expensive than Murano Platinum. Adding all possible options to the Premier drives the total up to $48,690. So while the 2019 Blazer may be bringing an iconic nameplate back with an attractive entry price, the rest of the story may not be so attractive to buyers. It appears the Blazer is going to get rather pricy, rather quickly.